Listed for $649K / sold for $755K! Stunning top floor corner condominium unit in the heart of Adams Point and just minutes from Lake Merritt, Grand Avenue and Lakeshore Blvd, the local Saturday Farmers Market and Bay Bridge to San Francisco. 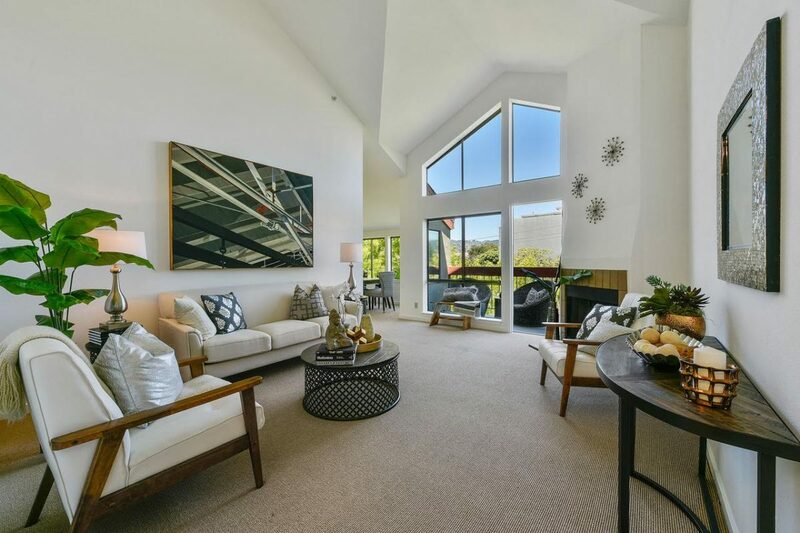 This sun-filled unit features a fabulous living and dining area with vaulted ceilings and deck offering private tree-top views. The updated eat-in kitchen has ample storage and stainless appliances with a direct flow to the dining area, perfect for entertaining. Master suite with multiple closets, a full bath, and additional wardrobe, plus a second bedroom and full bath located on the other side of the unit. Additional amenities include below building secured parking, additional storage, and a communal roof-top garden area.